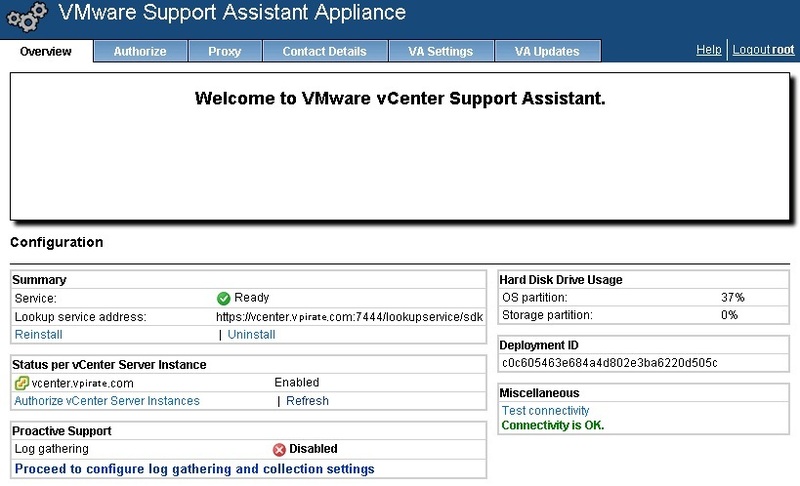 In my previous post How To Install and Configure vCenter Support Assistant -Part 1 we saw how to deploy the vCenter support Assistant Appliance. In this second part we will see how to configure the support assistant to get integrated with vCenter so it can start collecting the d=information and do its thang ( Proactive monitoring). Check the box that says “I Understand and consent to vCenter Support Assistant’s Privacy terms and conditions above” (Make sure you read the conditions). Now lets jump in into the configuration part. In the first step, Enter the Lookup service address. This is needed register with lookup service. Now it gets the certificate for the vcenter. Take a look at it and proceed. Enter the SSO Administrator credentials so Support Assistant can go ahead and create the users and groups. 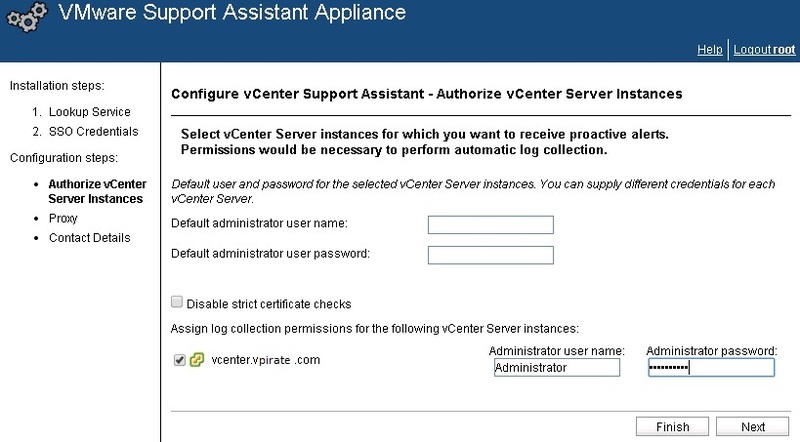 Now the vCenter has to be authorized by providing the administrator credentials as shown in the above screenshot. If there is proxy between your server and the internet, this is where you specify all the details for it. Enter the contact details which will receive monthly summary email with remaining and resolved alrets. That completes the configuration of the vCenter Support Assistant. If needed you can enable Log gathering which will help you identify issues using logs. 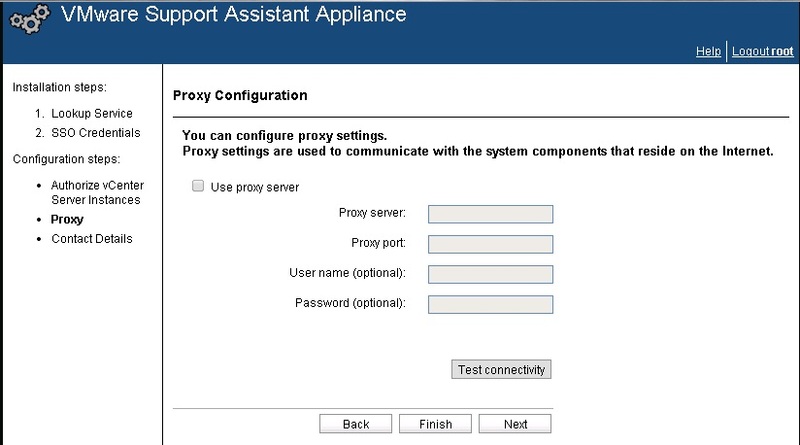 Now login into your vSphere web client to see if the vCenter Support Assistant is registered with the web client under support. You can further specify what events to be monitored and lot of other things. 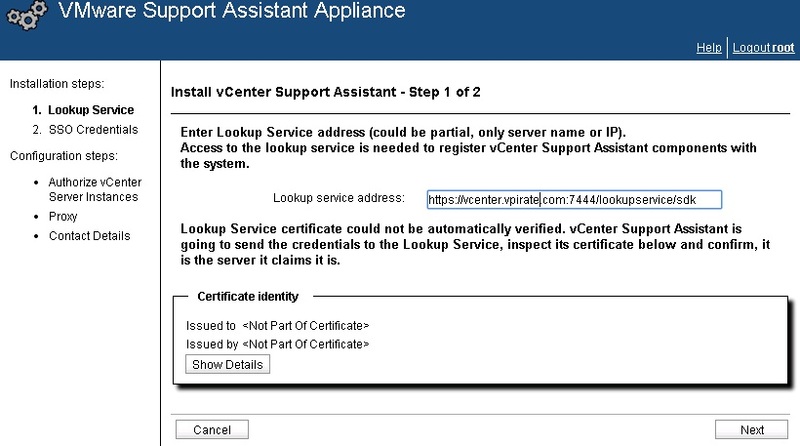 This brings us to our conclusion of the How-to blog posts on vCenter support assistant. As i said in my earlier posts, this is a really good tool for VMware environment which will take care of the tedious task of doing the manual work of creating an SR and so on.